A client of mine approached me with a job for a t-shirt design. She had already sketched out part of what she had in mind for the shirt. However, she needed it converted into a vector format for printing specific sizes. Therefore, I got out my trusty tablet, opened her file into illustrator, and got to work! 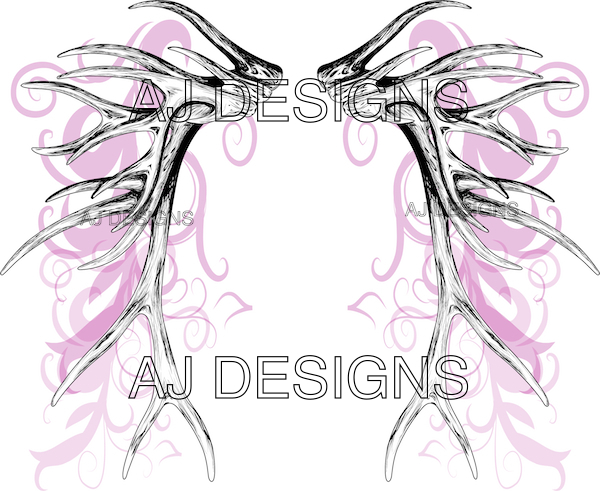 My client decided she wanted a t-shirt design with antlers and some kind of fleur de lis, making it emulate wings. The target is women hunters. 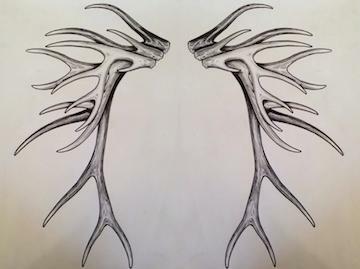 Once I finished working on the antlers, I got to work on the swirls and fleur de lis. I’m quite pleased with the outcome and I have a happy client!